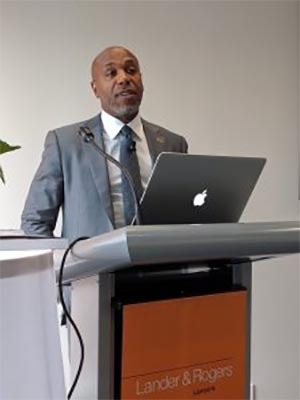 Brought to you by EEON, the ICCAR and the Australian Intercultural Society, ‘Courageous Conversations about Race: Let’s Have the Conversation’ was a keynote speech, Q&A session and lunch with internationally recognised race relations expert and author of Courageous Conversations About Race, Glenn E. Singleton, on Friday 9 December 2016 in Melbourne. Australia is one of the world’s most culturally diverse nations, with 44 per cent of Australians either born overseas themselves or having at least one parent born overseas. Nearly one million people have come to live in Australia since 2010, and together we speak over 260 languages. 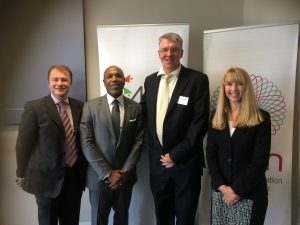 While we have embraced our rich cultural and linguistic diversity, the race and cultural diversity ‘gap’ continues to persist in Australian society. Under-representation, under-utilisation and isolation are prevalent, with reports of racism also on the increase. Meanwhile, complacency and relatively low levels of commitment and investment in cultural competency activities persist in Australian workplaces, despite a number of successful initiatives. using the above insights to drive social and cultural transformation within personal and professional areas of responsibility. We thank Glenn for sharing his knowledge and educating us all in this truly remarkable event.